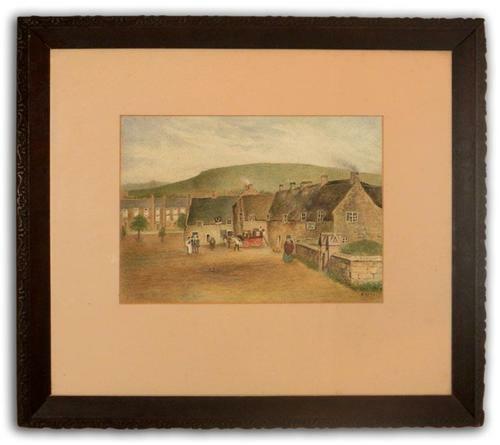 Charming watercolour by R. Bates of Victorian village life featuring a stage coach being loaded outside a village inn. It is in wonderful condition and sits in a splendid example of 19th century frame making; crafted in hardwood (looks like mahogany) with subtle yet ornate carved detailing. Shipping: UK mainland delivery is charged at £8.21. For non UK delivery, including Northern Ireland and non mainland UK destinations please contact the seller for an estimate.